← Ladyfeast | Dem Bones ! So She Said | Ladyfest Fundraisers Announced! Dzifa Benson has performed her work at the London Literature Festival, the Houses of Parliament, the Shakespeare & Company Bookshop, Paris and recently, South Africa with the British Council and Sustained Theatre. She was a writer-in-residence at the Courtauld Institute of Art from 2007 to 2009 and is an ambassador for Southbank Centre’s Global Poetry System project. Her poetry has appeared in Magma Poetry, the Manhattan Review, the Guardian and Philosophy Now magazine. Chrissy Williams is Joint Editor of the world’s first bespoke edible poetry magazine: Poetry Digest. She learnt a new word once a day for 100 days as part of London Word Festival’s 100 Days project and her favourite was “hircine” – “goat-like, or having a strong goatish smell”. She has had poems in The Rialto, Dial 174, Orphan Leaf Review, Fuselit, Rising and Southbank Poetry and was recently included in The Rialto’s Young Poets feature. She has poems forthcoming in S/S/Y/K/4, works at the Poetry Library and wishes she had a dog. To perform or read your work within a friendly, supportive environment, email us at performance@ladyfestten.com to book a slot or just turn up and register on the night. We’ll fit as many people in as we can. 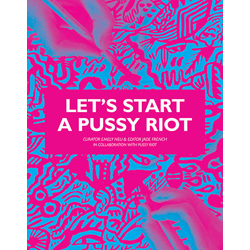 All performers welcome (no matter what your gender or sexuality, whether you’ve performed a hundred times or never before)- poetry, spoken word, storytelling- just keep within the 3 minute time slot and no racism/sexism/homophobia please…Check out our Ladyfest Ten manifesto to see what we stand for if you’re not sure. This entry was posted in Events, Feminism, Ladyfest Ten, spokenword, The Victoria and tagged Spokenword. Bookmark the permalink.